Originally published under the title "Strings Pulled from Ankara, Moscow Tangled in a Sukhoi." The downing of the Russian Suk­hoi SU-24 bomber over Turkish airspace this week is a dramatic escalation in an already existing situation of tacit conflict between Moscow and Ankara in and over the ravaged landscape of northern Syria. The Turkish action is unlikely to pass without retribution of some kind. This will not necessarily come immediately. Russian President Vladimir Putin's record in international ­affairs suggests that revenge is a dish he prefers to serve cold. But it will come. Nevertheless, the broader Turkish-Russian relationship and the important but limited status of Syria as a proxy war are likely to prevent a complete deterioration in relations between the countries as a result of this event. This latest development serves to highlight the complexity of events in northern Syria. While all sides like to proclaim themselves the opponents of Islamic State, a far more complex set of clashing interests and ambitions are being played out in reality. Russia sees ISIS as a secondary enemy. For Turkey, it is hardly an enemy at all. Despite the dutiful statements and occasional gestures, Russia regards Islamic State as an enemy of secondary importance. For Turkey, meanwhile, it is hardly an enemy at all. Since the outbreak of civil war in Syria in 2011, Russia and Turkey have been arrayed on different sides, as active and energetic backers for their chosen proxy. Putin's support for Syrian President Bashar al-Assad has been perhaps the single most crucial factor in enabling the dictator's survival to this point. Russian veto power at the UN Security Council prevented the possibility of international action against the dictator sanctioned by the UN (with the quiet additional backing of China). Russia's continued willingness to provide weapons to its client of long standing kept the dictator's armouries full. And, of course, when Assad found his western coastal enclave menaced by the rebels of the Jaysh al-Fatah (Army of Conquest) coalition in the course of the northern spring and summer, it has been Russian direct intervention that has turned back the immediate threat. The reasons for Russia's staunch backing of Assad have been well-rehearsed and do not need to be reiterated at length: the naval depot at Tartus on the western coast; the planned port at Latakia; the long relations between Syrian Baathists and the Soviet predecessors of the current Russian state dating back to the 1960s; concern over Sunni jihadi proliferation. Putin's support for Assad is arguably the most crucial factor enabling the dictator's survival. Add in Putin's brutally realist view of foreign affairs, according to which the worth of the strategic coin of a country in any given region will be measured in large part by its ability to give effective backing to its clients, and the reasons for the Russian stance become clear. The point of relevance here is that this Russian stance has long placed Moscow on a direct line of confrontation with Turkey. Ankara, for its part, has followed precisely the opposite line on the Syrian crisis. Having ­judiciously developed relations with the Assads before 2011, Turkey's imperious Recep Tayyip Erdogan, then prime minister, rapidly abandoned the relationship when the rebellion started, throwing his country's full weight behind the rebels. The Syrian rebels, almost all Arab Sunni Muslims, have had no better friend than the government of Erdogan. This reporter accompanied rebel arms convoys travelling from Turkey into northern Syria bringing guns for the rebellion as early as February 2012. The convoys were moving with the obvious tacit consent of the border authorities. Similarly, the traffic of refugees to and from northern Syria into Turkey, the easy crossing of the border and the friendly relations between rebel fighters and Turkish soldiers offered ample evidence of the co-operation between the sides. 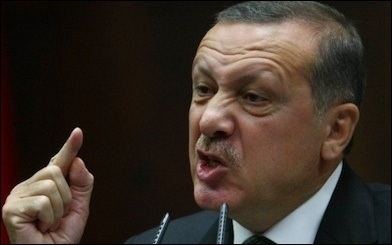 Erdogan believes a Sunni Islamist-dominated Syria will naturally align with Turkey. This ground-level evidence was part of a broader strategic choice by the Ankara government. Turkey saw the rebellion as part of a process of change in the Arab world, which fitted with the ambitions of Erdogan strategically and ideologically. Ankara correctly understood the mainly Sunni Islamist rebels to be on a similar ideological page to the ruling Justice and Development Party, or AKP, in Turkey and decided that bringing them to swift victory over Assad would produce a Sunni Islamist-dominated Syria whose natural inclination would be to align with Turkey. Of course, Erdogan miscalculated in expecting a swift victory for the rebels. But he was hardly alone in that. Unlike in the case of Western powers, Turkish support for the rebellion has never ­wavered. The Turks are among the backers of the Jaysh al-Fatah coalition, whose progress in northern Syria was the precipitating factor for the Russian intervention in Syria. The main Russian efforts in Syria so far have been directed not against the Islamic State further east but against the rebel coalition directly adjoining the regime enclave on the western coast that the Russians joined the war to preserve. This coalition is the ­direct ally of the Turks. This is the background to the Turkish decision to down the Russian jet. It needs to be clearly understood. The Russian war in northern Syria is being conducted against forces with which the Turks are ­directly aligned. Further complicating the picture is Ankara's own ambiguous stance towards Islamic State. Putin's remarks following the downing of the SU-24 directly ­accused Turkey of support for the jihadi entity. "IS has big money, hundreds of millions or even billions of dollars, from selling oil," the Russian leader said. "In addition they are protected by the military of an entire nation. One can understand why they are acting so boldly and blatantly. Why they kill people in such atrocious ways. Why they commit terrorist acts across the world, including in the heart of Europe." Turkey's main enemy in northern Syria is not the Assad regime but the Kurdish PYD. 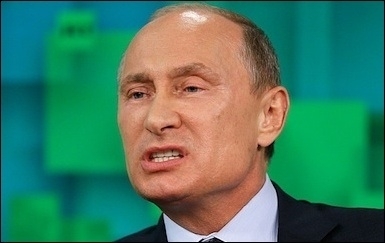 There is some evidence to suggest the Russian leader's statements may not be baseless. Turkey's main enemy in northern Syria is not the Assad regime and certainly not Islamic State. Rather, it is the PYD (Democratic Union Party), the Syrian franchise of the Kurdistan Workers Party, (PKK) that is engaged in a long war against Ankara. The Kurdish People's Protection Unit (YPG), which guards two large Kurdish autonomous enclaves along the Syrian-Turkish border, is the most effective military opponent of Islamic State. So Turkey's interests in northern Syria are to aid the rebels fighting Assad and to contain and/or ensure the defeat of the Kurds. The Turkish government is not troubled by alliance with ­Islamist and even extremist jihadi fighters in pursuit of these aims. Indeed, the former at least are the partners with which the Turkish government appears to feel most comfortable. There is an additional element. Among the rebel formations facing the regime are forces hailing from the small Turkmen minority in Syria. The Turkmens of Syria are ethnic Turks, numbering anywhere from 500,000 to three million. They have been staunch backers of the rebellion throughout. They were the subject of severe discrimination under Assad. Resident mainly in the area of Jabal Turkmen (Turkmen Mountain) in Latakia province, east of the regime enclave, they have ­organised their own armed groups, known as the Syrian Turkmen Brigades. Trained and ­financed by Turkey, these groups operate in close co-operation with other Sunni rebel forces in northern Syria. According to Aymenn Jawad al-Tamimi, an expert on rebel groups in northern Syria, one of the Turkmen groups, the 2nd Coastal Division, initially claimed responsibility for the killing of the co-pilot of the Su-24 aircraft, Lieutenant-Colonel Oleg Peshkov. Tamimi said that in conversation with him, the 2nd Division's spokesman later appeared to backtrack from this claim, perhaps because of the diplomatic sensitivities involved. The areas in which the Turkmen rebels operate are precisely those that have been the main subject of Russian attention in recent weeks. Russian bombing has exacted a heavy toll from these areas, which Turkey is directly pledged to protect. 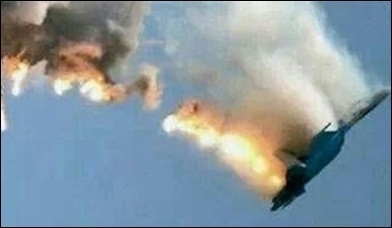 Some reports have suggested the downed Russian jet was engaged in action against Turkmen-inhabited areas when it was shot down. Ankara and Moscow are engaged in promoting different versions of what exactly preceded the downing of the aircraft. Ankara says the SU-24 was warned 10 times before action was taken. The Russians say no such communication took place. Putin has called the Turkish action a "stab in the back." Erdogan says it reflected the "right of Turkey to protect its borders." Neither Moscow nor Ankara wish to see the SU-24 downing lead to a breakdown in relations. But such disputes after the fact are of only secondary importance. What matters is what happens next. As things appear, neither Moscow nor Ankara wish to see this incident leading to a general breakdown in relations. In the Syrian context, Turkey and Russia are straightforward adversaries following directly contradictory agendas. This is set to continue. But of course Syria is not everything. Russia announced that it would cease military co-ordination following the downing of the aircraft. But the two countries remain useful to one another in various ways. Turkey is a major purchaser of natural gas from Russia. This is a mutually ­beneficial arrangement that neither country has an interest in terminating. The economic connection in turn serves Moscow as a means of lessening the significance of Western sanctions over Russian actions in Ukraine. A deal for the building of a ­nuclear power plant in Akkuyu, in Turkey's Mersin province, by Russian company Atomstroyexport was signed in 2013. The deal is worth $20 billion, which the Turks expect to recoup in electricity sales. These broader strategic and economic considerations, as well as a mutual desire to avoid disaster, underlie present efforts to manage the crisis. Moscow's revenge, when it comes, is therefore likely to be proportionate and to take place within the framework of the dispute between the two countries over Syria, or in a limited way on the economic front, rather than in a broader context leading to a complete breakdown in relations. Some analysts have suggested that Moscow may choose to cosy up further to the Syrian Kurds and their redoubtable YPG militia. In this regard, to make things even more complicated, the Kurds would need to choose in the event of such an approach between their suitors in Moscow and their partners in Washington. The YPG is at the moment the main partner of US air power in the fight against Islamic State in northeast Syria, in a different arena of the conflict to the one directly concerning Moscow and Ankara. The incident this week illustrates just how fragile the situation is. In Syria, among many other points of friction, two nations each in the midst of a sense of national resurgence and led by charismatic and assertive leaders (Russia and Turkey) are arrayed on opposite sides of a long, brutal and unresolved conflict. One of these nations — Turkey — is a NATO member. The stakes are perhaps not quite sufficiently high in Syria for either side to risk a deterioration to direct conflict over events there. But with the US pursuing a confused and limited policy against Islamic State further east in Syria, the Islamic State jihadi entity itself holding its ground while engaging in international terror further afield, the Kurds successfully defending their secular national project along the borders, and an assertive Iran promoting its own proxy war broadly aligned with Russia in the same space, the sense of a Middle East in disarray and dangerous flux has never been greater. Nevertheless, the downing of the Sukhoi SU-24 probably is not the spark that will lead to a dramatic escalation into the unfamiliar territory of state-against-state war. Rather, it is a milestone in an ongoing, fierce and bloody proxy war among the ruins of northern Syria that looks set to continue.